On the 29th of March, 2014, 214 hectares of land was flooded to create a new coastal lagoon. To ensure and improve the existing natural values in the area - including restoring one of Funen's most important bird areas. To gain unique knowledge about the biological and environmental development in a newly flooded coastal lagoon after 140 years of farming. Before the comprehensive land reclamation and drainage channels made its entrance in the late 1800s, shallow marine lagoons were a hallmark of the Danish coasts. Biological studies in the few remaining lagoons have shown that they have important ecological and environmental functions. Lagoons, with their extensive flora of seagrasses, various green-, brown- and red algae - and benthic microalgae are productive, as light and nutrients are rarely missing. This large biological production is a known food source for benthic invertebrates, fish fry and birds. 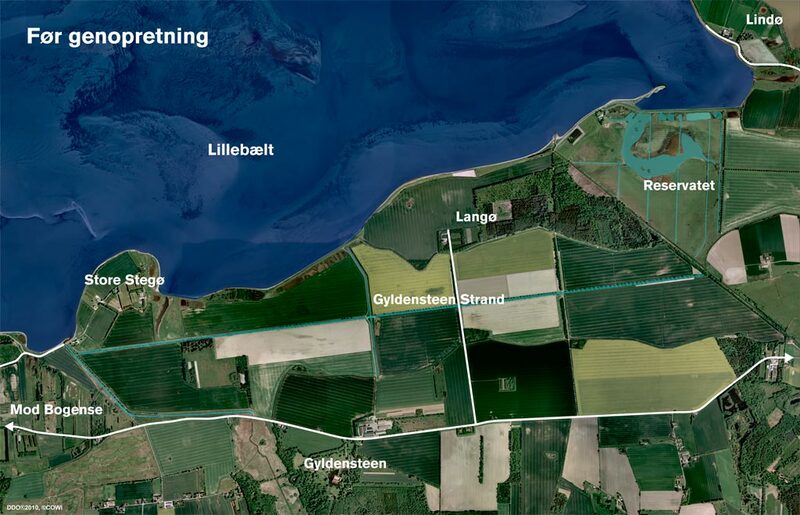  The aim of the research project at Gyldensteen coastal lagoon is to provide the society with important information about the development of nature when coastal areas are flooded - both with salt water from the sea and with freshwater from land. 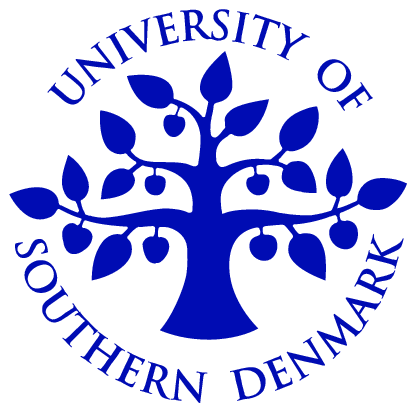 The investigation is carried out by researchers from the Department of Biology at the University of Southern Denmark. The studies began one year before flooding with describing the composition of flora, benthic fauna and environmental conditions in the Little Belt outside Gyldensteen coastal lagoon. This provided a baseline of the coastal environment and information on the possible species that could invade the new lagoon. Simultaneously, the soil conditions were thoroughly investigated. After the removal of the dikes and flooded the area, a monitoring program has been established to describe the early and long-term succession of flora and fauna in the new lagoon. Furthermore the exchange of nutrients and carbon dioxide between the sediment and water, as well as the exchange of nutrients between the lagoon and the surrounding ocean are studied to follow the nutrient and carbon dynamics (sink or source). This intensive program will be repeated during the first 4 years after the flood, followed by a less intensive program the following 3 years. When investigations are completed in 2021, we will have gained unique knowledge about the biological and environmental development in a newly flooded coastal lagoon after 140 years of farming. This knowledge will be valuable in the years ahead as global warming causes sea levels to rise. The project results can help decision-makers in their assessment of an area under pressure from flooding to decide wether it should be maintained by elevating the dikes or whether it should be flooded with seawater. These decisions require both biological, ecological, environmental and economic considerations.